It was a sign that read “free face painting” that first drew my attention to the new local café – The Baker and Builder – nestled in the Entrada building in North Parramatta. 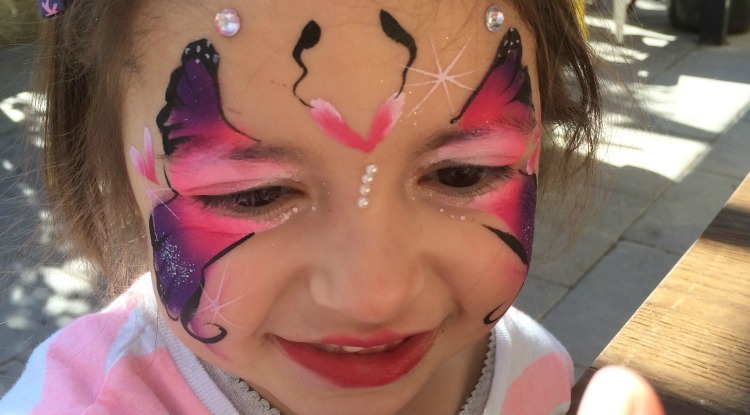 But it’s definitely much more than free face painting that has seen me return to the café week after week. The cool, industrial fit-out and open plan kitchen layout of the café is very “Surry Hills-esque”. It almost seems unfinished. Some people might not get the “look”, but judging by the packed house most days I’d say people are catching on pretty quickly. With both inside dining and a generous sunny courtyard, there’s plenty of space for prams. There’s even a little area out the front with colouring books, pencils and toys for the kiddies to play. Speaking of kiddie appropriate activities, they are well catered for at The Baker and Builder. The owner Leanne Beck organises free events most Saturday mornings. 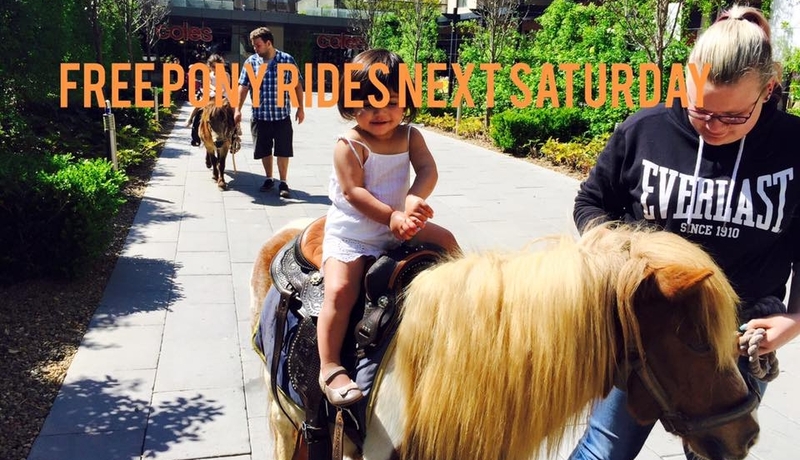 These include pony rides, magic shows, treasure hunts and arts and craft. So with the kids’ entertainment sorted, it’s easy to relax and enjoy some of the delicious coffee and baked goods on offer. Good coffee can make or break a café and luckily the Colombian bean coffee did not disappoint. Over the past few weeks I have sampled most of the menu. The highlight would have to be the tradie egg and bacon roll on brioche with aioli and relish ($10). The great thing is the offerings change daily and you never know what lovely surprise treats are being cooked up such as passion fruit pannacotta lamingtons or hazelnut custard croissants ($6). The Facebook page updates the daily menu changes. There isn’t a menu for the little ones specifically, but still plenty for the kids to choose from. The only thing I’d love to see is some kiddy milkshakes added (at the moment only smoothies, hot chocolate and babycinos are on offer). The café gets a big tick for trying to buy organic produce where possible. After the meal is over, it’s nice to wander through the farmers’ market that runs on Saturday selling fresh produce, flowers and baked bread so you can take something home for later. What didn’t you like – The bathroom is located across the courtyard and down a big flight of stairs, no change table available. Top tips – The better toilet option especially with kids is to use the restroom inside Coles. Tuesday to Friday 7am to 6pm and Saturday 8am – 4pm and Sunday 8am – 3pm. Wine Bar: opening soon. Check out their facebook page for updates. Rachel Moses Falecki is a Sydney based TV producer, married to resident builder Dylan Falecki on Channel 10’s The Living Room. Together, they share two little ones – Lucinda (3 years old) and Phoenix (9 months old). Rachel knew unequivocally since she was just 12 years of age that she wanted to be in the media industry. Over the past 15 years, she has worked for every major network and production company in Australia on shows such as Gladiators, What’s Good For You, The Secret Millionaire, Australia’s Next Top Model, So You Think You Can Dance and The Voice. Since becoming a mum, she says her beautiful kids have become the real critics of her creative skills so she is always looking for ways to entertain them! “I love the saying the days are long but the years are short…it’s very true and so we make the best of our family time together exploring the world. I hope you enjoy my reviews”.